A fabulous evening within the county enclosure, watch the races, have a drink or a bite to eat before priority entrance to the concert! The Jockey Club Live offers a value for money experience unlike any other this summer. Alongside show-stopping headline performances by some of the worlds biggest artists, the action kicks off earlier in the day with a six race card - giving fans the chance to witness powerful equine athletes who are stars in their own right and enjoy the thrilling drama and spectacle of them racing for glory. Whether you fancy a flutter or a dance with friends and family, the event is certain to be an odds on favourite for all. Please expect delays when leaving the Racecourse Car Park after the event. The Racecourse does provide a vast amount of seating in all enclosures that is available on a first come first served basis. No chairs are permitted across the track into the concert area after racing. 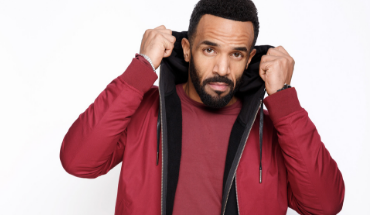 its official, Craig David is back and in a big way! Initially rising to success with hit singles including 7 Days, Fill Me In and Walking Away, sixteen years later Craig was catapulted back into the charts and in to the nations hearts with Big Narstie on the gold certified single When The Bassline Drops, marking the beginning of his triumphant return. He has since released the number 1 album Following My Intuition, and the latest album The Time Is Now has given Craig his fifth UK top 10 album.